Steve Jobs is making it clear that Apple intends to make low power consuming processors and looks like he intends to drive the market into mobile computing. 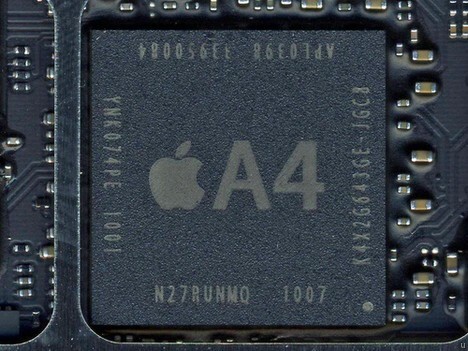 Since Apple started working on iPod’s, iPhone’s and now the iPad, it has been rumoured in the market that Apple is developing its A4 processor with help from little known companies that were helping it make faster low power consuming processors. Well that rumour is true now that Apple has confirmed that it has bought an Austin based semiconductor manufacturing company called Intrinsity. The Texas based semiconductor company is thought to be the engineering brains behind the A4 chip that is the heard of the iPad. It is believed that the iPad is based on the 1GHz hummingbird processor that was developed by Intrinsity in partnership with Samsung last year. People first were aware of the deal after noticing that many of the Intrinsity’s employees updated their Linkedin pages to as Apple employees. Interesting! However the price tag was confirmed today to be US$121 million. Now that Apple has bought Intrinsity, it is clear that Apple intends to purchase more and more chip making companies, companies that we have heard little of, but is this the start of Apple to be more of a hardware manufacturer. 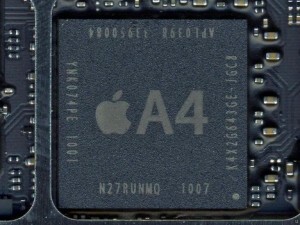 Would we soon see Apple’s A4 competing against Intel and AMD processors? The trend sure looks like it. Steve Jobs is known for phasing out technologies that he does not like or believe in having a future. Looks like he is tired of power hogging processors. Looks like Apple is keen on moving towards mobile computing, so its good bye desktops? Apple A5 Proc has Custom Noise Canceling Circuitry on the Chip! Apple making 48 Million iPad 2G by 2011!